Like many small business owners looking for a quick and simple website, local photographer Steve Nuth, who creates stunning portraits from his studio in Barnstaple, had fallen victim to what we call the ‘Flash trap’ and created a flash-based website that, although looked good and did fancy things with images, performed poorly and couldn’t be viewed on devices without Flash installed. 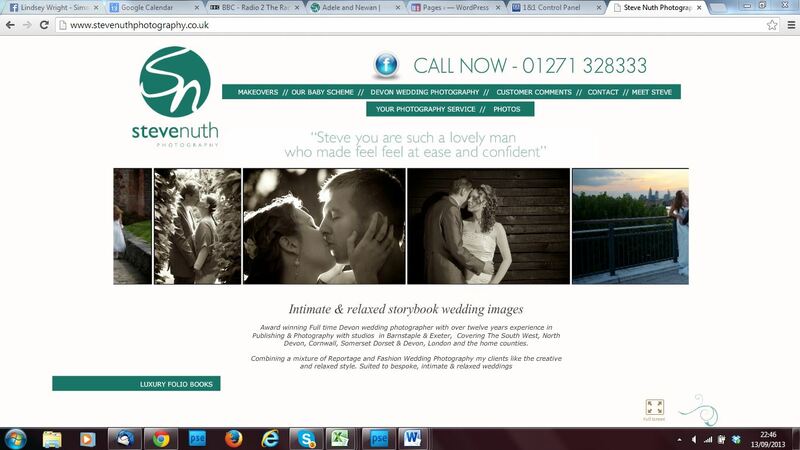 Tired of his website troubles, Steve was looking for a company who could build a website that looked great (very important for a photographer!) but also performed well on Google for his keyword searches. Because it can allow for attractive media content and can be created by those with little web training, flash websites are popular with small business owners who want to build their own websites. Although these sites can be made to look good with not too much effort, flash websites in general perform poorly on Google searches and are not compatible on all computers and mobile devices as they require a plugin to run. Here at Complete Marketing Solutions, we have the design expertise and SEO knowledge and experience to meet Steve’s needs. We completely rebuilt his site to eliminate the issues that his flash website was causing him and created a new site for him that was visually attractive (including interactive images sliders, galleries and in-page images) but also optimised the content in order for Google to find his site easily.